Tiger Woods wouldn’t even contemplate how it would feel to win his 15th major title, his first in more than a decade, after leaping into contention at the PGA Championship. The 42-year-old former world number one fired a four-under-par 66 in Saturday’s third round at Belleville Country Club to share sixth on eight-under 202, four back of leader Brooks Koepka after 54 holes. “A long way to go before that happens,” Woods said when asked about a 15th major title. Eight months into his comeback from spinal fusion surgery, Woods has shown moments of the form that once dominated the sport. And while he draws huge crowds, he hasn’t won a major since the 2008 US Open or any event in five years. Woods birdied five of his first eight holes but closed with 10 pars and while he has never won a major he didn’t lead after 54 holes, he has battled on enough Sundays to know what he must do on a back nine where he’s shooting only two-over par this week. “Not just myself, but everyone’s going to have to shoot low rounds,” Woods said. Woods, whose back pain was so bad he once wondered if he might ever have a normal life much less play golf again, was thrilled at his birdie binge early. “It was fun. I got off to a good start,” he said. “That was nice to be able to do something like that. Koepka stands one stroke ahead of Australia’s Adam Scott with Americans Gary Woodland and Rickie Fowler and Spain’s Jon Rahm two adrift. Playing partner Stewart Cink, the 2009 British Open winner who matched Woods on 66 and 202, marveled at what he saw as a vintage Woods performance. “I didn’t really feel like there was a difference at all,” Cink said. The 14 majors won by Woods rank second on the all-time list to the record 18 won by Jack Nicklaus. And Woods has 79 career PGA victories, three shy of Sam Snead’s all-time record. Woods would match the all-time record of five career PGA Championship titles won by Nicklaus and Walter Hagen with a victory and would clinch a playing spot on the US Ryder Cup defending the trophy next month in France. 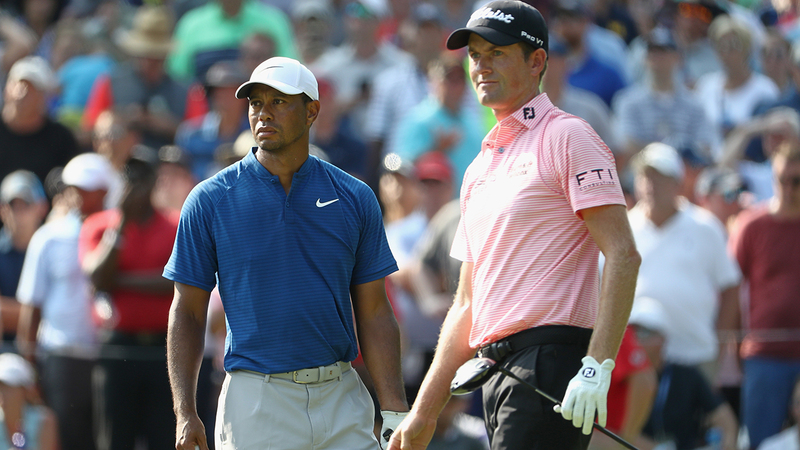 World number 51 Woods was fourth at the British Open after 54 holes and his back-to-back major top-10s entering the final round are his first since 2012. Johnny Rockets: The Best Burger in Lagos?